My husband is a huge fan of butterflies of any and all variety. He loves watching for them outside his office window and trying to capture them on film. 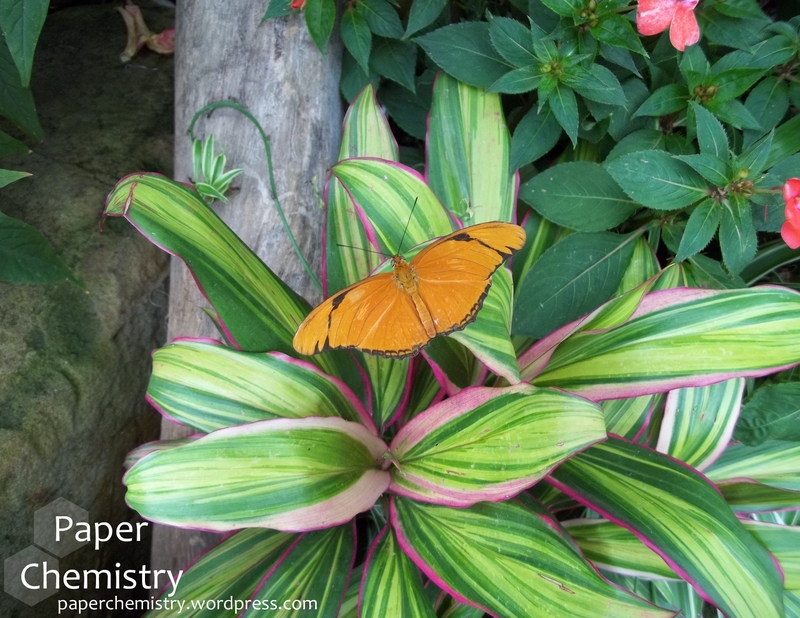 For his birthday, we visited the Krohn Conservatory Butterfly Show. We had a great time watching them, trying to get pictures, and having the butterflies land on us. Knowing how much my husband loves butterflies, I wanted to incorporate them into the decorations for his birthday. 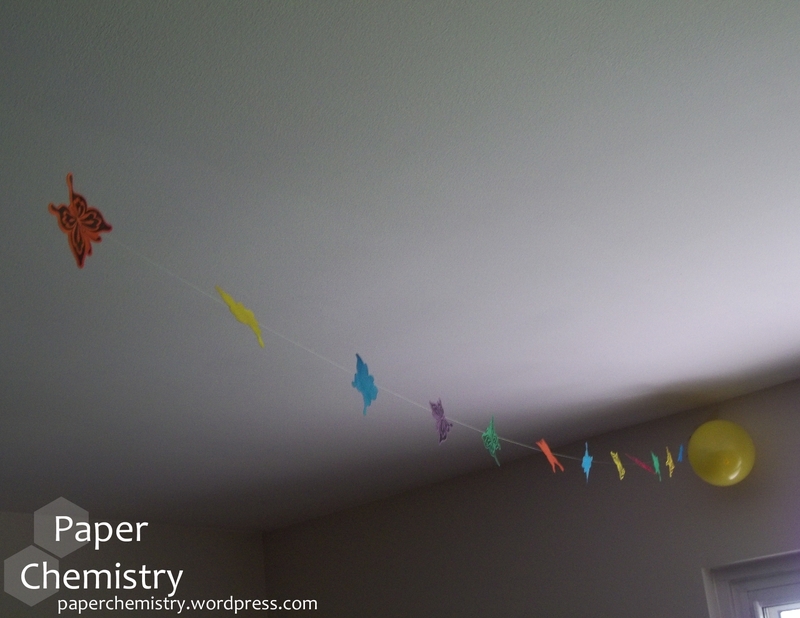 I ended up with this colorful butterfly garland that dressed up our living room for his big day. I was really happy with how festive it turned out and am very thankful it will be reusable! 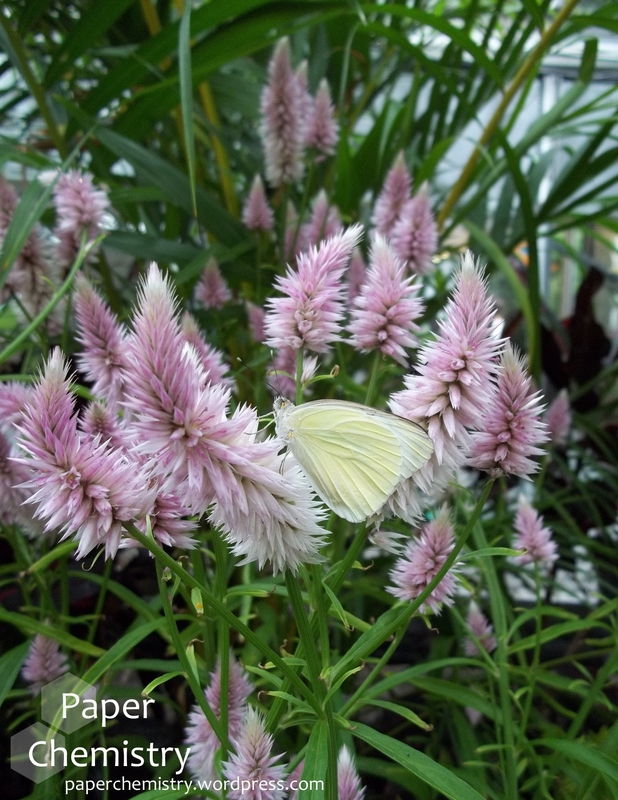 I stamped the butterflies on colored copy paper and then cut them out with the matching die. 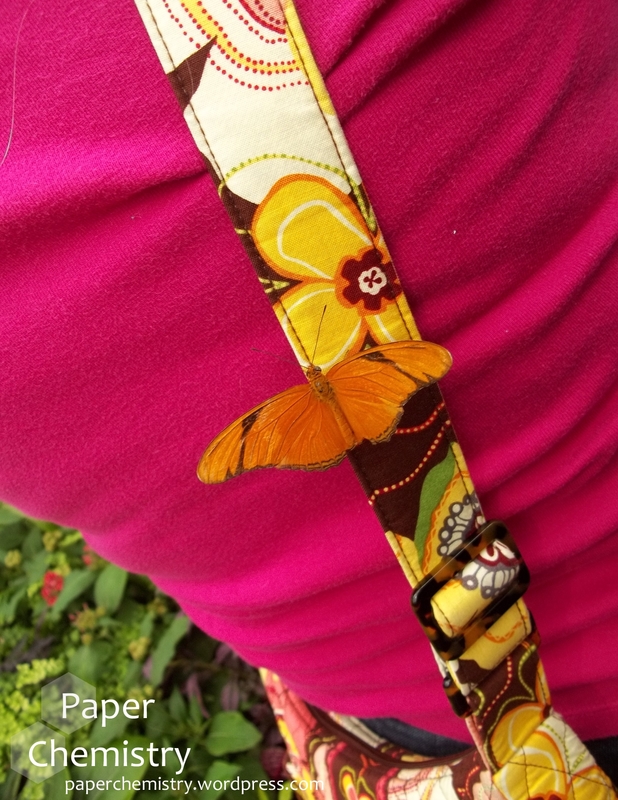 I glued an unstamped butterfly to the stamped one with fishing line ($1.88 at Target, woo!) running between them. It was a bit putzy, but I’m really happy with how it turned out! I wish my camera could better capture how cheery the garland makes the room! I’m excited about using this concept with other shapes in the future – in the grand scheme of things, it really was not too difficult. What are your favorite ways of using your stamping supplies for making things other than cards or scrapbook pages?